If you can't comply with the first sentence, you cannot do what is followed by THEN. i.e. no sacrifice after you can't find (or don't want to find) a Lord/Lady, or if you can't put it into play (barring the gates). This is confirmed by FFG Official. 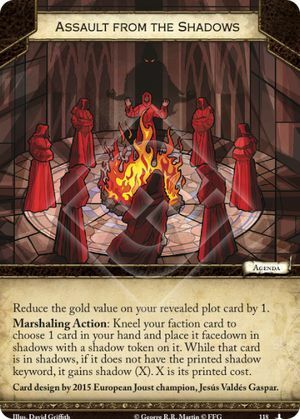 When a plot says 'you' does it mean 'you' the card owner or 'you' the players? I have not seen anything that clarifies this. 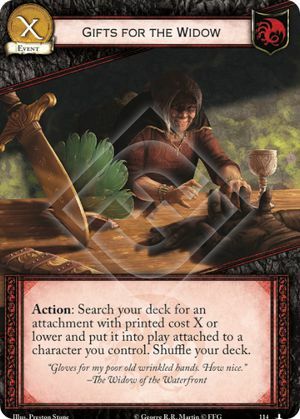 Was wondering how to use this card efficiently as part of my deck? I mean does it block every power gain even for power claims? 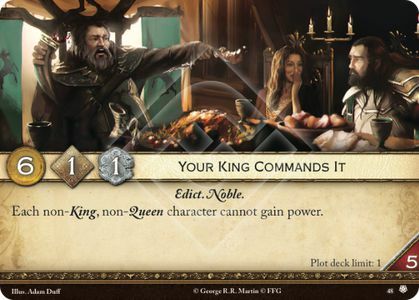 Or is it just to stop characters with "renown" keywords from gaining power if they're not Kings/queens? The latter seems to make it useless unless you just want gold considering not a lot of decks in general have tons of renowned cards in the first place. Be great to know if I should leave it in my deck or put it with my "cards that don't do much" piles? 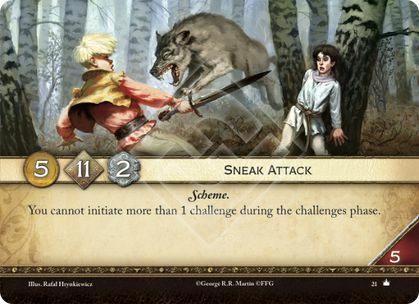 If you use the agenda action to put a card with printed shadows into shadows, it does not gain shadow (X). If you place a card with cost X into shadows, it gains shadows (0). If it is played from shadows, X equals 0. This means that e.g. Gifts for the Widow could only search for cost 0 attachments if played from Shadows. The Hand’s Judgment can be played for free to cancel an event from shadows. Gifts for the Widow cannot find attachments with a Null cost (e.g. A Pinch of Powder), as they do not have a printed cost.